Orchestrating the voices – the future for business copywriters? If it’s not selling, it’s not copy. Writers should make friends with their readers. Punctuation is kindness. Writing for the web is exactly the same as writing for print. The term ad hoc actually means the opposite of what you think it means. On a website the average sentence length should be just 12 words. And the most important skill in the communications industry is writing. 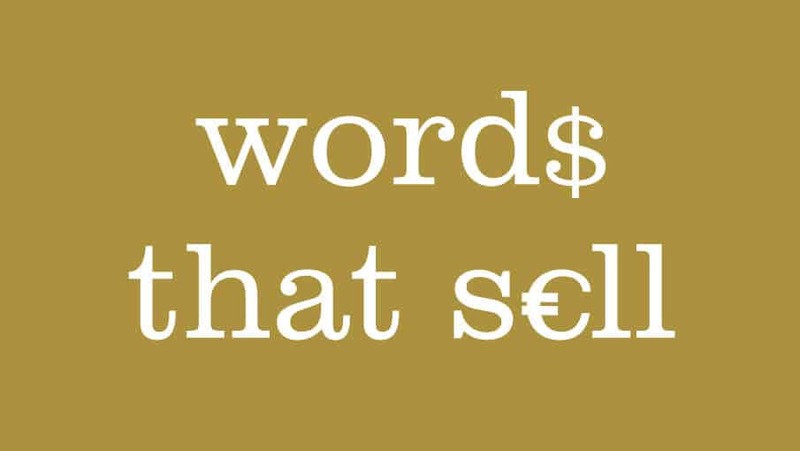 These are just a few of the snippets I scribbled down at Words That Sell, a recent conference in Bournemouth on how business can profit from well-chosen words. Given we had some of the UK’s leading copywriters pacing about the room, fully operational and locked into presentation mode, there was some serious scribbling to be done. Writer Sarah McCartney, bedecked in Japanese kimono, reminded us that clear writing equals clear thinking. Andy Maslen spoke of on-page optimisation, keywords, hypertext and told us that black type on a white screen works best. Nick Parker showed some pictures from his travels (a sign hanging above a road in the US reading ‘If you hit this sign, you will hit that bridge’). And while legendary adman Reg Starkey had the misfortune of pulling the ‘technical issues’ straw, he still managed to explain why his BIRD theory is a great way to evaluate the quality of an ad. One of the most telling sessions was a workshop handled by Ben and Heather at Afia. These two invited us to get into groups, huddle around marker pads and discuss where business writing is today and where it might be heading in the future. Interesting. The results affirmed a lot of my own thoughts – that clients tweak a lot of copy to validate their own role, that many pay lip-service to buzzwords like branding and tone of voice but few deliver anything original, that quite a few business folk are cynical of writers and many are still happily wallowing in jargon-heavy text. On the flipside we could see opportunities for writers growing – though we weren’t entirely sure who would be doing the writing. As company intranets grow ever larger, that great vacuum needs to be filled – so many employees are being trained to write smarter, more succinct copy. Traditional in-house writing such as company letters, emails and internal comms is starting to expand into content for blogs, content for leadership conferences, content for social media strategies and content for lord knows what. And what do you know, tone of voice might well become the subject of choice around the water cooler, photocopier and coffee machine. All I can say is, if that day ever does come, blame it on Bournemouth. Have you noticed a change in how business writers are working? If so, is it one for the better or worse? That was informative and witty – so its possible:) Love your writing style and as a writer (yes I can say it now) I welcome more opportunity coming my way. I worked for 14 years in Corporate sales for all the big USA companies before being made redundant and indulging my passion. So I have the megaphone at the ready! !